Alright, so Godzilla 2: King of the Monsters is a long ways away before release. However, speculation is at an all-time high as production is under way. 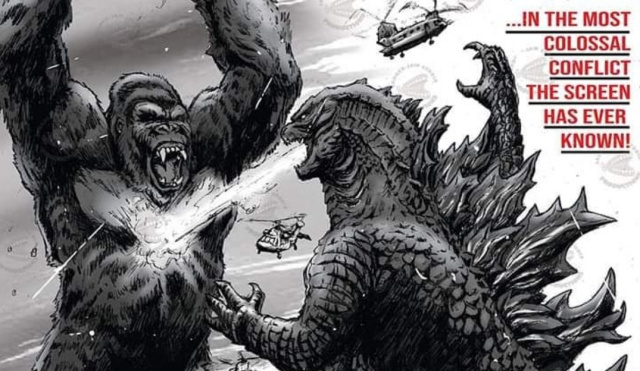 Therefore, I think it's time we speculate on what elements and scenes we could see in the opening for the next installment in the MonsterVerse. The MonsterVerse has cemented a very clear style of opening, a montage of stock and original footage of elements from different time periods pertaining to the monsters and their respective backgrounds. So, what could be most relevant for the sequel to the film that started it all? Elements of the space race have been touched on in Kong: Skull Island, as well as Tweets from Michael Dougherty that pertain to NASA and related things. 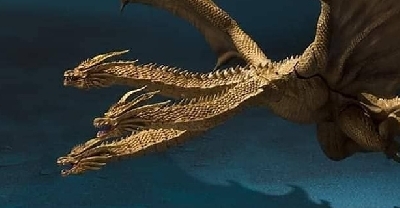 Thus, I think a greater focus on stock footage relating to NASA and the space race back in the 60s and 70s would be a good guess, especially if King Ghidorah will maintain his origins as an extraterrestrial organism. So, that's fine and dandy for him, but what of the others? Rodan is simple, perhaps showing footage of dinosaur exhibits and dig sites that have pterosaur fossils. 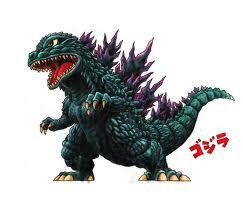 Godzilla is also simple, just show more footage of him during the Pan-Pacific Proving Grounds. In fact, I'd wager that showing more of him animated during such sequences would be advisable, so that audiences immediately recognize and attach to him. Perhaps animate him fighting against the Shinomura from Godzilla: Awakening before Castle Bravo hits. And Mothra? She's a little tricky, if she maintains her roots in mysticism. Kong's outing film introduced some elements of mysticism with the Iwi, so showing footage of natives worshiping Mothra at shrines and whatnot might be a good idea. As well, showing footage of entomologists, showing moths in those glass collections and whatnot. So, what about you guys? What do you think we'll be seeing for the opening of the next movie, taking into account the style of previous openings? 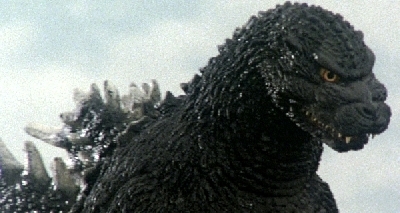 23 Responses to The Opening for Godzilla 2: What Will It Be Like? I want Goji to kill more MUTOs in the beginning of the second movie, similar to Gamera 3, when Gamera kills more Gyaos. Since we've introducing 3 new big monsters I imagine the opening will center around revealing one. 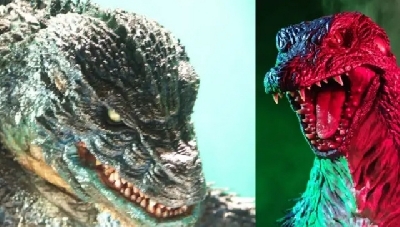 Don't really see them going back and recounting Godzilla's background when they have 3 totally different(hopefully) new monsters that need some time to get established. 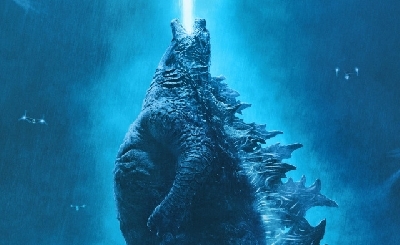 Now, I would agree with that, but one of the criticisms of the previous movie was that Godzilla's screen-time wasn't utilized that effectively. A short sequence where he's up and about and in action in the opening would solidify audience perception, and hype them up for more of that later on. Concur with G '14 himself. I kinda want to see like an aftermath of G14. I want to see and hear bits of news footage of Godzilla and the world trying to cope with what just happened in San Fransisco. I want an opening that shows the world trying to rationalize what Godzilla is, where he came from, and if there are more like him. Yeah, that's another idea I had. Maybe even a few references to Kong: Skull Island, like passing newspaper strips of Conrad and Weaver refusing to comment on their trip with the Landsat team. 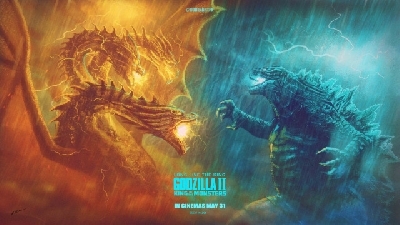 I bet the opening will start few million years ago where the early men spot Godzilla rising from the depths and we see King Ghidorah arrive, followed by Mothra and Rodan. Then we see some montage from MONARCH showing past NASA events and the JFK Speech form that footage of the movie in comic con 2014 along with the cave paintings in Kong Skull Island and finally footage of the aftermath in Godzilla 2014 and events that took place after the 2014 movie. Just saying my opinions. Looks like we might have some more hints (or not) about what might be involved with the next MonsterVerse installment. 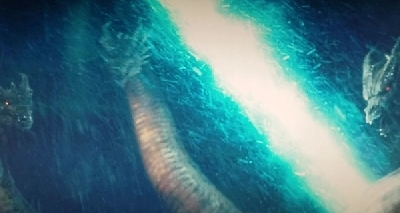 So, in light of some possible information leaks from TheTruthIsOutThere, I think I'll add some new details to what I believe we'll be seeing of Rodan's part in the sequel's opening. She/He mentioned Mount Pinatubo, specifically its eruption in 1991. Now, for those that don't know, this volcano was in the Philippines (that's right, same area where the male Hokmuto, whom I'm calling that to avoid constantly using "M.U.T.O.s"), and was the second largest eruption in the 20th century. Just show footage of that, if TheTruthIsOutThere is to be believed, but edit the footage to showcase a vague silhouette within the ash clouds. Understandable, so basically going through when each of the Monster's first appears/are found. Godzilla in the 50's, Rodan in the 90's, Ghidorah in the arctic during whenever, and Mothra during whenever. Oh... in that case I'm guessing the movie opens with Godzilla in the 50's, Mothra in the 60's/70's/80's/IDK, and Ghidorah in modern day. Guys......... I think this guy is legit. An official timeline clip just showed up. Some folks I know managed to screen-cap images from it, such as: the Mount Pinatubo eruption in 1991, the Great Smog of London in 1952, and mentions of a frozen creature. Do you know if those folks could get some good screen caps of the things they didn't zoom in on? I think the opening should include a way of Monarch coming out of darkness. Maybe a couple of newsclips and headlines of Monarch becoming public. That's a good one. Some post-Godzilla aftermath media. 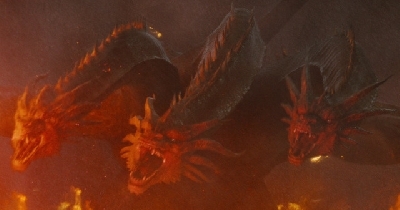 Though I definitely think that the general Monsterverse style of records and footage from history pertaining to the time periods of the different elements related to the monsters at hand should be preserved. For example, maybe some older footage about the discussion of the ice age, to hammer in the point about King Ghidorah being a lemon popsicle at the moment. I am beginning to get a little excited. A fellow member posted a fan made trailer that looks pretty good.